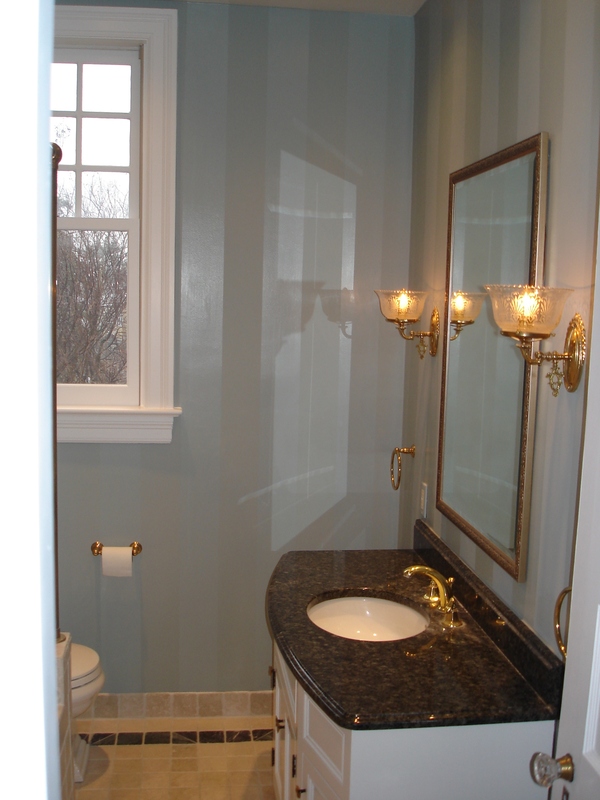 Project included plaster repairs and one color of C – 2 product line decorative stripes on walls, gloss over matte base finish. Also assorted electrical install of task room lighting. All painted finishes.